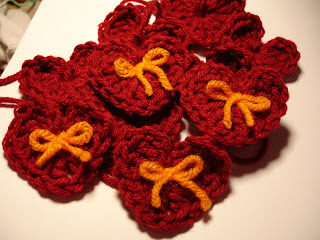 Sherry, from Virginia, emailed me that she had made over 100 of my hearts in VA Tech colors for anyone who wanted them. That's when I realized I had never posted the pattern to my blog. 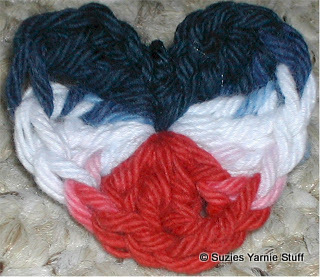 So here is the pattern for anyone who wants to make them to share with those needing a little love.